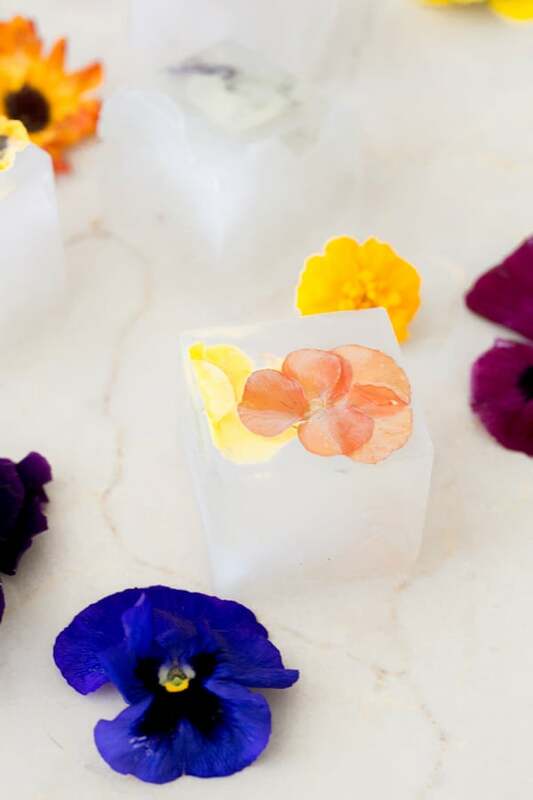 Edible flowers are one of my favorite ways to instantly add a feminine, natural and beautiful touch to food, cocktails and even ice cubes! 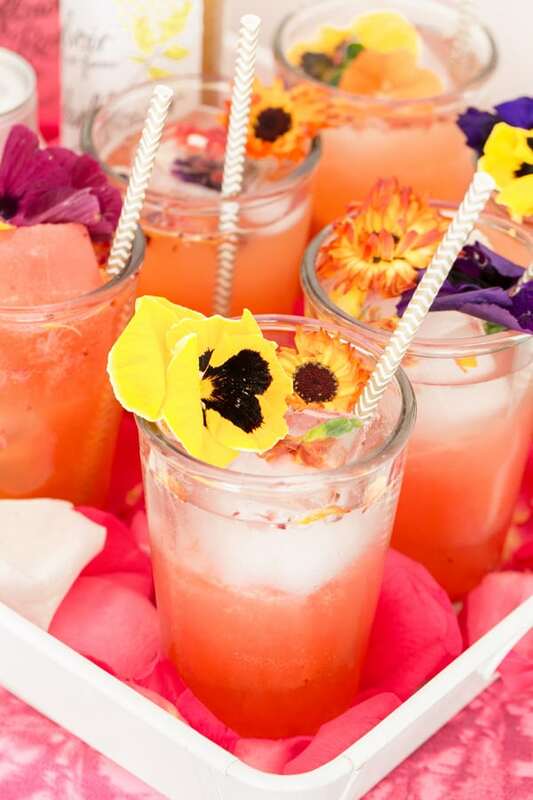 So for this Berrylicious Floral Cocktail, we created a delicious cocktail that’s not just refreshing, but absolutely stunning too! 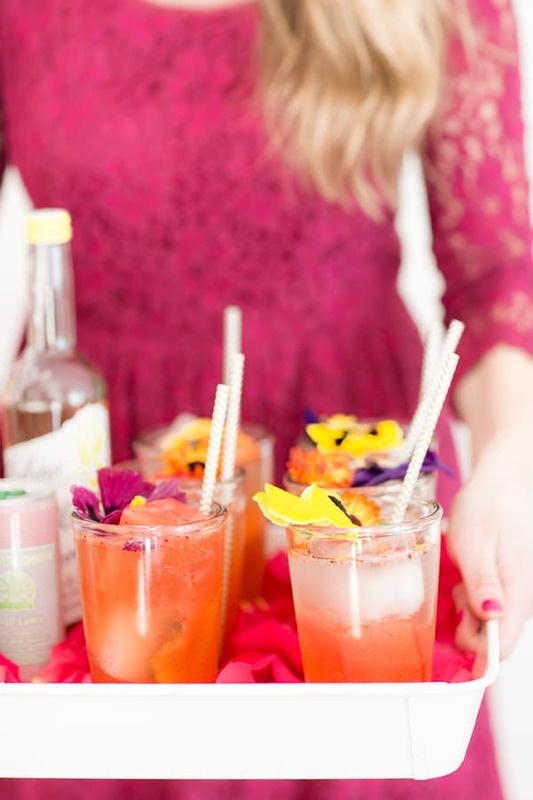 It’s made with strawberries, muddled edible flowers, lemonade and some elderflower cordial. 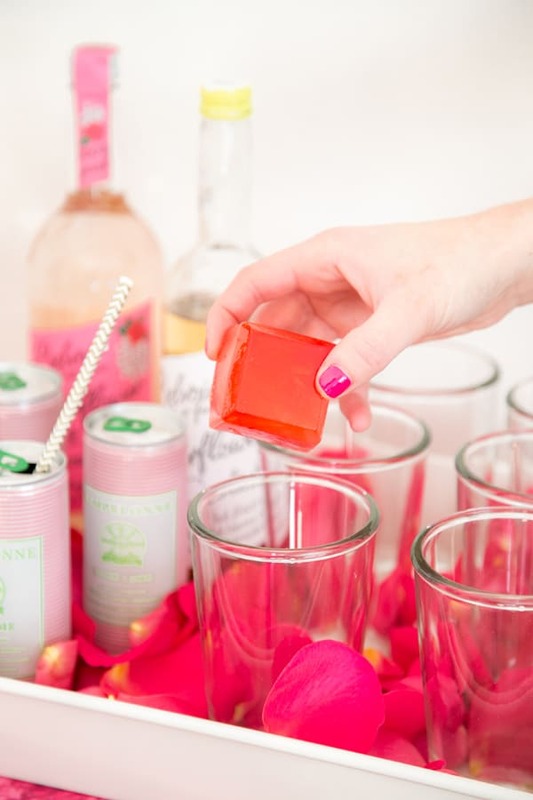 The floral notes are strong but not overbearing, the lemonade adds a little sweetness and the strawberries make it pink! We made two different types of ice cubes to go in the cocktails. The red ones are strawberry elderflower cubes and for the others we simply added in some edible flowers before freezing. Read below for the recipe! In a cocktail shaker, muddle the strawberries and flowers together. Add in the rest of the ingredients with a handful of ice. Shake well, for about 20 seconds. Strain into a glass and add in two large ice cubes. 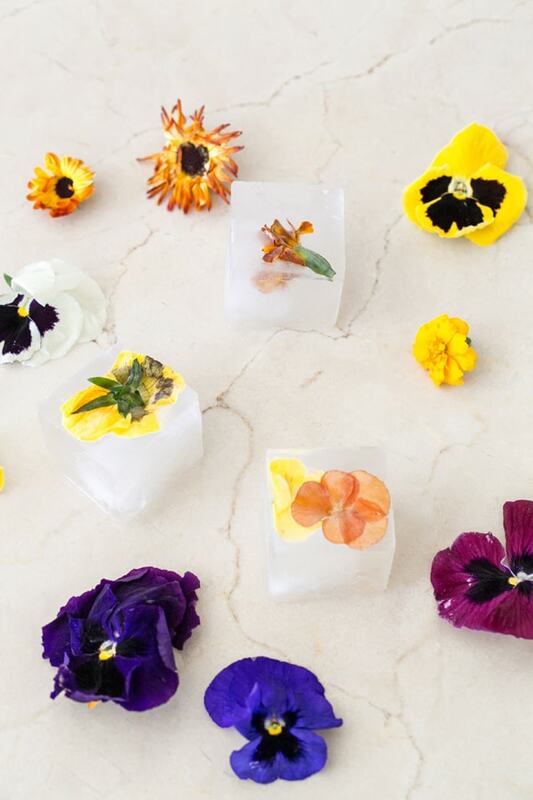 Garnish with edible flowers. Puree 5 large juicy strawberries with 4 cups of filtered water. Add in 1 ounce elderflower cordial. 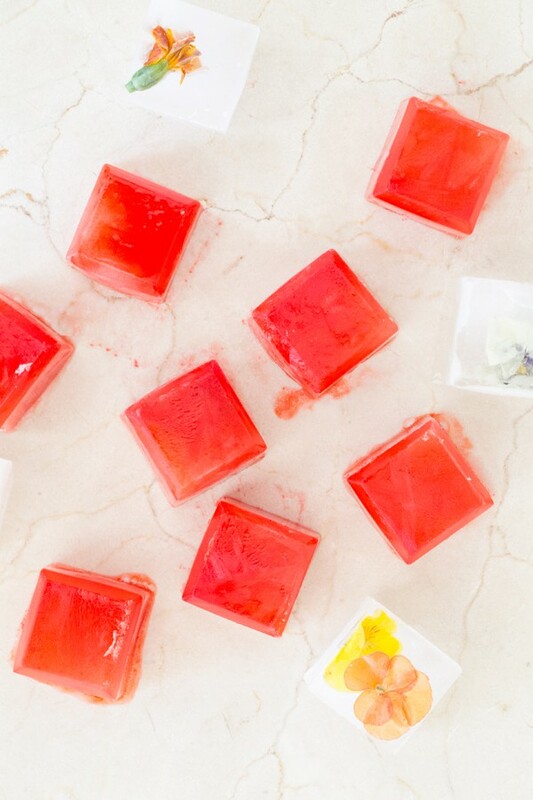 Pour into ice cube trays. This looks delicious and cute: all at the same time! Yum! 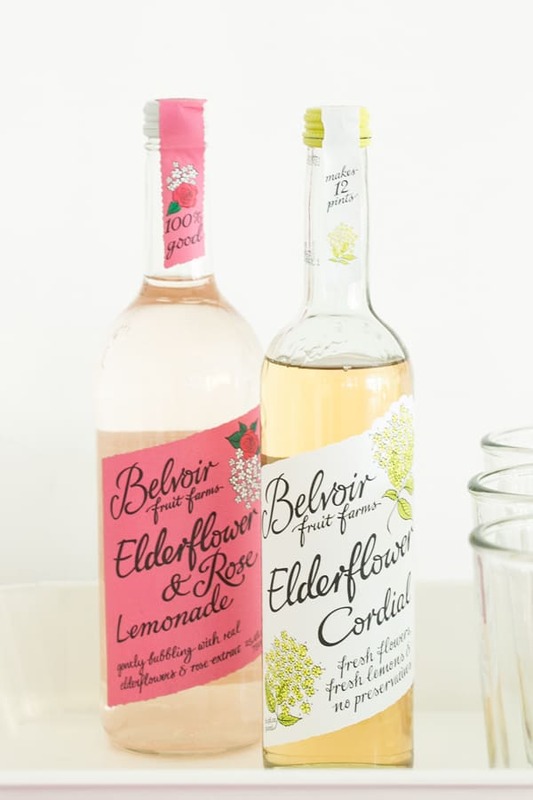 Anything Elderflower works for me! I’d add Acai Blueberry. 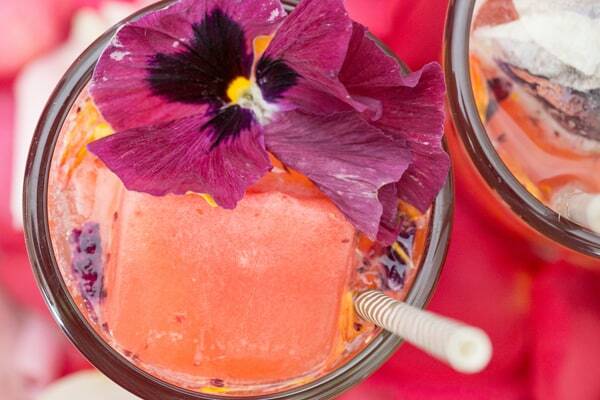 The pop of blueberry with the edible flowers is just the refreshing Spring cocktail I need!